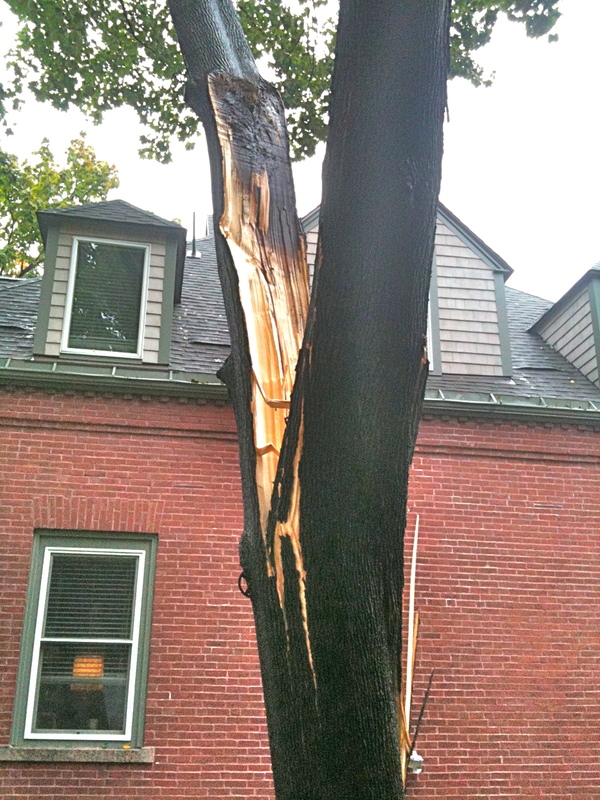 We had a surly wind/rain storm here in Maine yesterday, during which a large maple in my friends J. & S.’s backyard cracked itself in two and threatened to crush their neighbor’s house. They had to call professionals to come bring the tree down. Then when the professionals told them it would be an extra $500 to haul away the wood, they called me to offer a donation. It worked out well. I went over for breakfast and watched the guys wielding chainsaws from 50 feet up in a bucket loader. 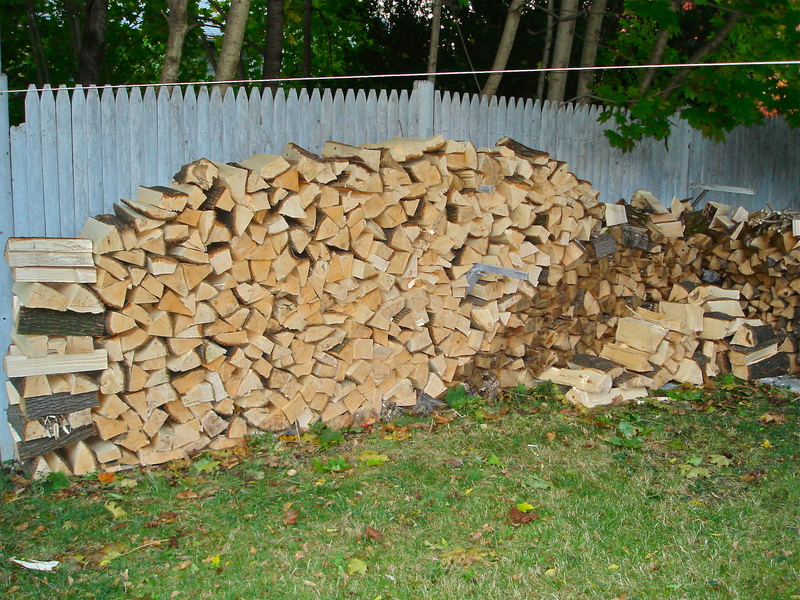 Later our friend D., who has a pickup (and also unlimited energy), shuttled the logs to my house and then proceeded to split while I stacked. 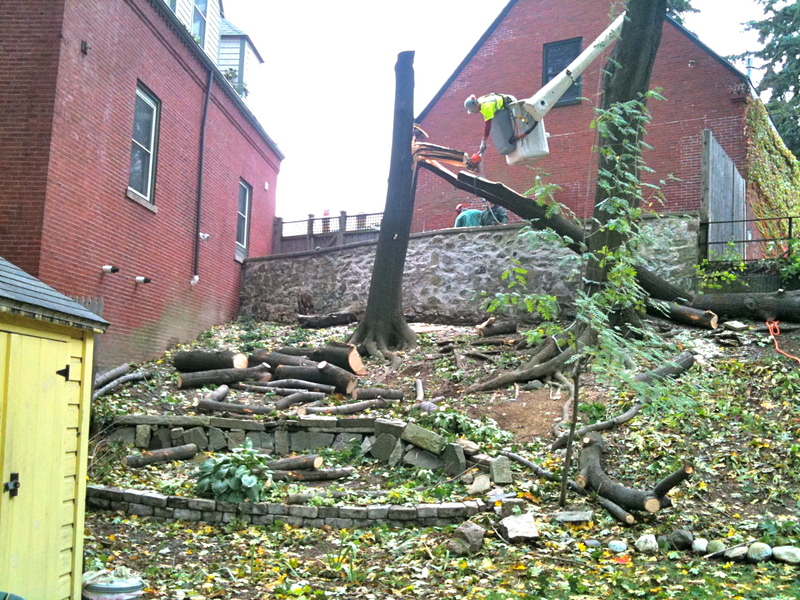 By dusk the majority of the tree had been added to the woodpile. There’s still a bit more to pick up. At last year’s burn rate (0.8 cords), I have at least two winter’s worth of wood on the property now, without really even trying. Meanwhile, current temps: 47º outside, 60º inside. 60, which would surely have felt a bit chill last month, now feels like the new 70. Sitting here in jeans and a t-shirt, quite comfortable. This entry was posted on October 16, 2010 at 8:41 pm and is filed under Uncategorized. You can follow any responses to this entry through the RSS 2.0 feed. You can leave a response, or trackback from your own site. No need to be frugal this winter. I expect to hear that you’re keeping the temps up in the low 50s at all times! Very nice! I might have one more mow left then it will be time to focus on increasing my wood supply. I have enough seasoned for the first month. 42 outside this morning in SO MO.